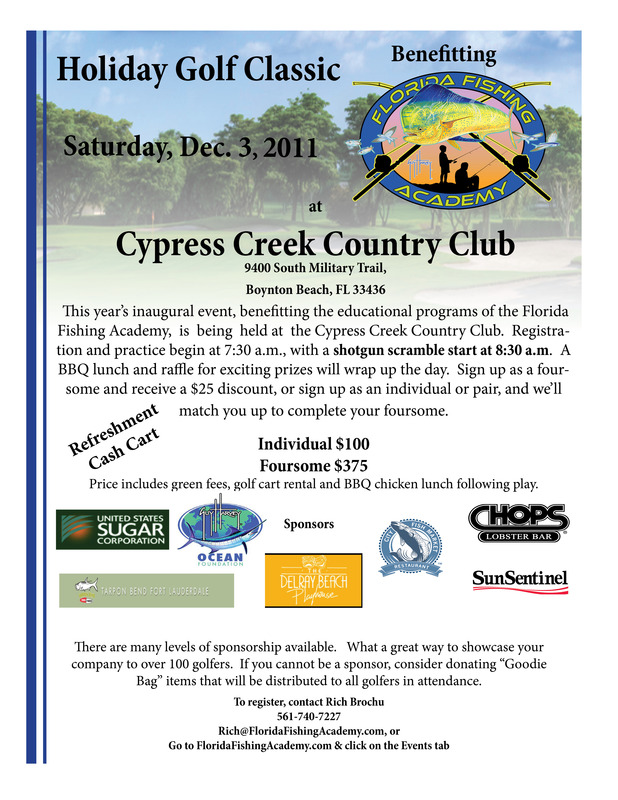 Bar Jack Fishing is proud to sponsor the Florida Fishing Academy’s Holiday Golf Classic on Saturday, December 3rd starting at 8:30am. Bar Jack Fishing will also offer any foursomes mentioning our sponsorship a free fishing trip aboard the Lady K. Please contact Richard Brochu at (561) 740-7227 to sign up! Thank you and hope to see you with us off the water and on the greens!